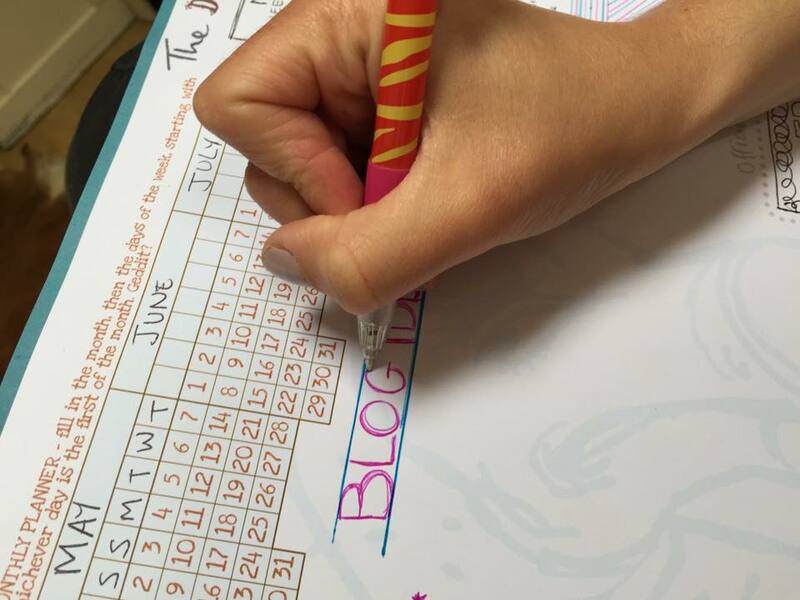 ← Get organised day – The Dodo Monthly Muddle Manager review and giveaway! National Stationery week is upon us & I want to share this absolutely perfect Dodo Jotter Pad with you. I’m probably in the minority these days as we own iPads, iPhones & a mac book however I still use a pen & paper most days. I own a diary & simply love the ‘realness’ of writing. I panic that I’ll put a note in my phone & shortly forget it. My life is hectic. So crazy that I need a real diary to write everything down at short notice. It probably makes no sense to you if you use your smart phone for everything. I just can’t get my head around it, I suppose I’m still quite old fashioned. 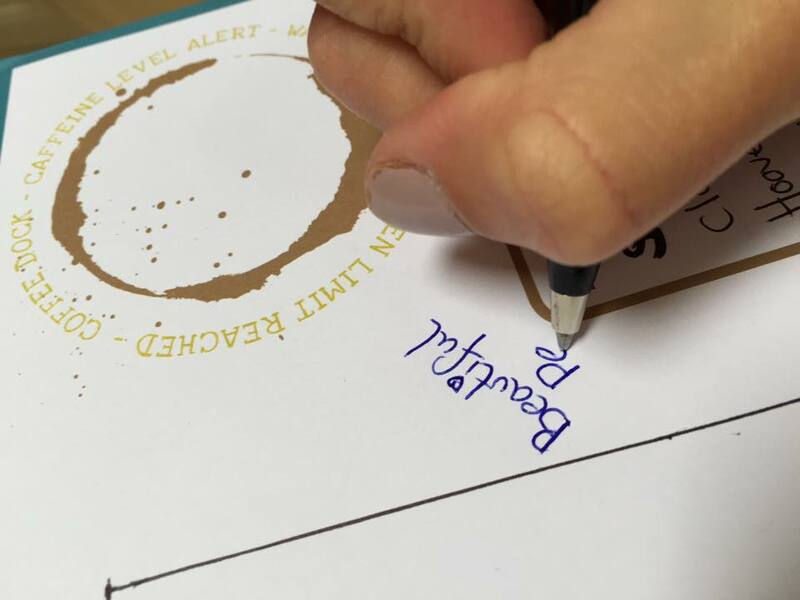 Nothing beats a pen & paper…. in my eyes. 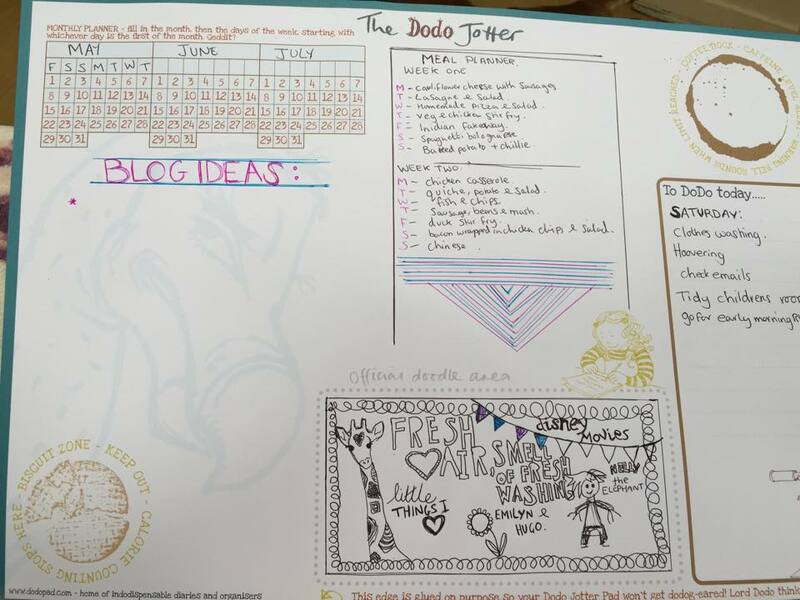 Why do I love the Dodo Jotter so much? Well it has different sections to it. The blank calendar in the corner is perfect. Then the doodle area is totally me specially if I’m on the phone I quite like a doodle. The To DoDo today area – I love a good to do list. 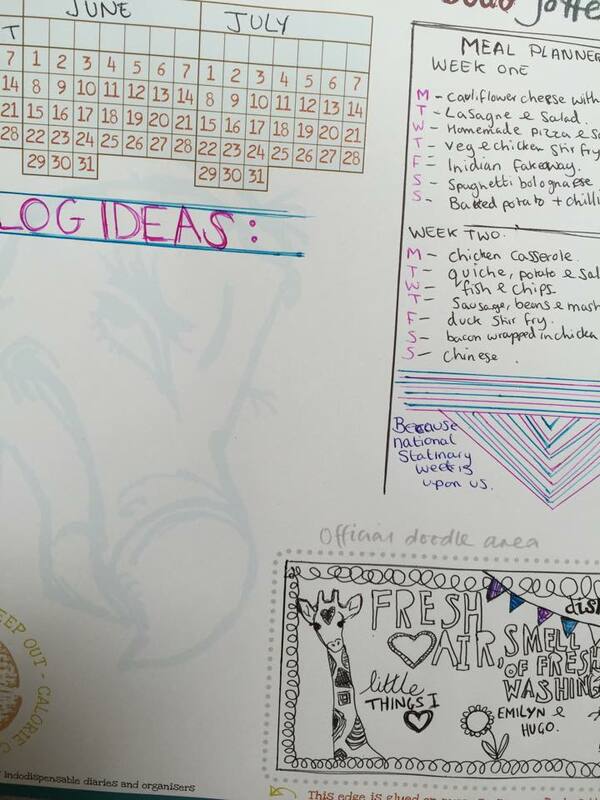 I added the meal planner bit for my own use, the blank space is perfect. Being able to jot my blog ideas down… Perfect. 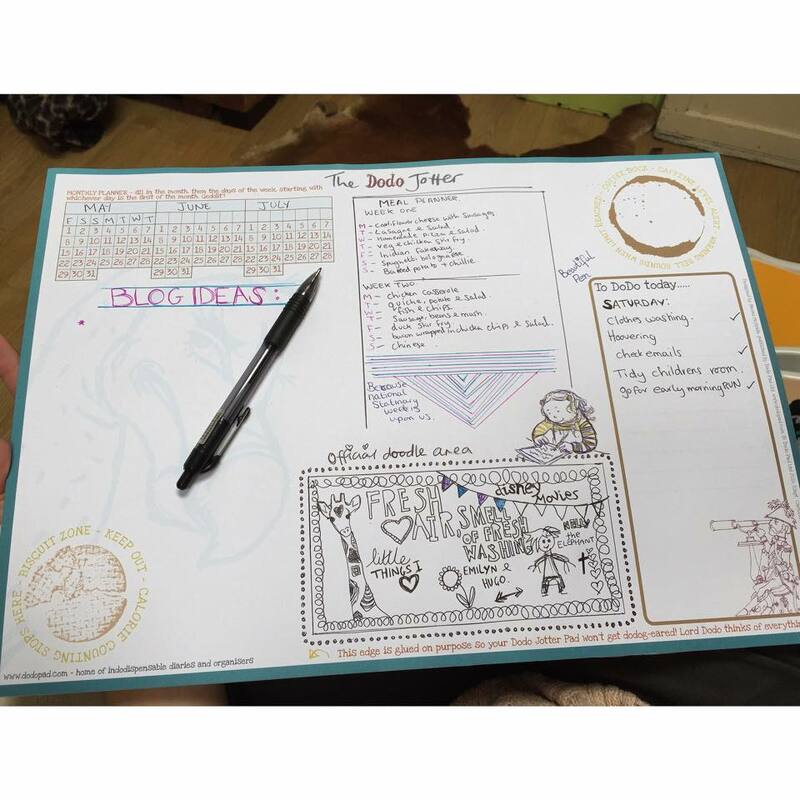 The Dodo jotter is available in two sizes; the A3 desk jotter (this one) & then the B5 size perfectly portable. They’re designed to alleviate boredom & keep even the scattiest desk-dweller on the straight & narrow. They’re made with 50 sheets of high quality 100gsm paper. No pen will be able to get through it. My favourite bit is designated biscuits & coffee zones. I also love that the bottom edge is glued on rather than the traditional top, this saves the corners from rolling up & becoming crinkled & unsightly. PERFECT. I’m delighted to tell you that this product was made locally in Cornwall, England where Dodo Pad is based.